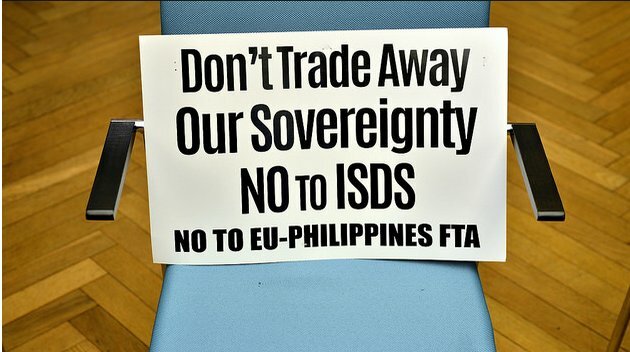 Despite the exchange of unsavory rhetorics, EU businessmen yesterday affirmed their full commitment to the Philippines as an economic partner even as they unveiled the recommendations contained in its Policy Advocacy Paper for the government and a full blast negotiation for a bilateral free trade agreement. At the EU-Philippines Business Summit, both parties exchange diplomatic statements of mutual support. Guenter Taus, president of the European Chamber of Commerce of the Philippines (ECCP), in his welcome address at the EU-Philippines Business Summit 2016 at Makati Shangrila stressed the need to pursue the economic goals set in Davao. “Notwithstanding the current difficulties and challenges, this summit becomes ever more important as it shows the commitment of the ECCP and its partners in the EU Philippines Business Network– in conjunction with the private sector at large to work with the various government sectors to pursue the goals set in Davao and reflected in our work over the past 12 months,” Taus said. Earlier, however, European business leaders said they had a hard time promoting the Business Summit as some businessmen have shown disinterest following alleged human rights violations as a result of the government’s relentless campaign against illegal drugs. “It is, and must be in the interest of all sectors to pursue these set goals as we need to achieve inclusive growth – as we need to create more jobs, as only jobs will alleviate poverty,” he said. Taus expressed optimism on the impact of the new laws that have been passed. These are the Philippine Competition Law; the enactment of Customs Modernization and Tariff Act; the establishment of the Department of Information and Communication Technology; the enactment of Amendments to the Cabotage Law, and the Executive Order on Freedom of Information. Indeed, he said, that change is written all over the ten-point socio-economic agenda and we positively note that most of the said agenda are ECCP’s priorities as well. “The European business community in the Philippines and in Europe has long yearned for such change – change that will and must facilitate trade and investments,“ he said. The recommendations cover 14 sectors where their respective concerns and corresponding recommendations are listed. It also noted the areas where we reach out to government and other stakeholders in the name of long-term, sustainable and inclusive growth. At the heart of its recommendations are increasing competitiveness and the ease of doing business, agriculture, human capital development, thrust on science and technology, and social programs. For his part, Trade and Industry Secretary Ramon M. Lopez cited EU as the country’s one of the biggest source of sources of investments. EU is the fourth biggest trading partner with two-way trade reaching $13.9 billion in 2014. The country’s exports up 19 percent to $7.5 billion in 2015 from $6.3 billion in 2014. “I wish to underscore that stronger economic engagement has been and will continue for the Philippines and EU,” Lopez noted adding that EU does not only encourage the Philippines to make more products competitive but also open for attracting investments. He cited the gains of the Philippine exports under the EU-GSP scheme. The second round of negotiations for the bilateral free trade agreement is also slated in the first week of December this year. According to Lopez, the proposed bilateral FTA will be the first where to provide a market access provisions. The FTA is more comprehensive and permanent than the existing trade preferences granted to the Philippines by EU via its Generalized System of Preferences Plus.